It's that time of the year again. The holiday season is full swing, and it's time to start thinking about holiday orders! One of the most important things to consider when it comes to holiday orders is shipping time! As a seller, you will want to ensure that purchases made at your store will arrive on time for the holidays. It's the season of giving and there's nothing more frustrating than being left empty handed because a gift arrived late. 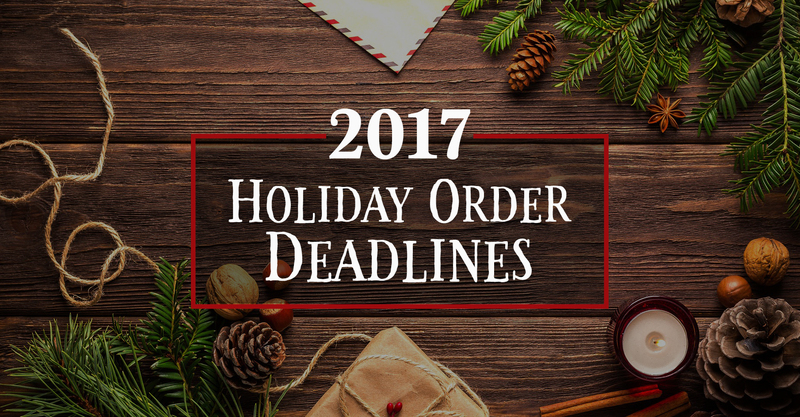 To have your domestic orders arrive on or before December 24th with standard processing they must be placed and paid for before December 14th at 9:30AM PST / 12:30PM ET. To have your domestic orders arrive on or before December 24th with USPS First Class shipping and standard processing they must be placed and paid for before December 13th at 9:30AM PST / 12:30PM ET. To have your Canadian orders arrive on or before December 24th using USPS First Class International shipping they must be placed and paid for before December 1st at 9:30AM PST / 12:30PM ET. To have military orders going APO/FPO/DPO to arrive on or before December 24th they must be placed and paid for before December 1st at 9:30AM PST / 12:30 ET.